For some contacts the preview in the recent chats list shows wrong informations. When I click on the preview, I get a totally different chat in the detail view. It's a bug. Messages will work when it works, and fail when it fails. Unfortunately there isn't a solid fix from Apple (yet). Not the answer you're looking for? Browse other questions tagged mountain-lion messages ichat . How to view text/rtf message part in .eml files which are ignored since Mail 6.0 upgrade? Can the list section shown in Day view in Calendar removed? Is it possible to get Safari of Mountain Lion running on Lion? How can I prevent Messages from opening up a new chat window? 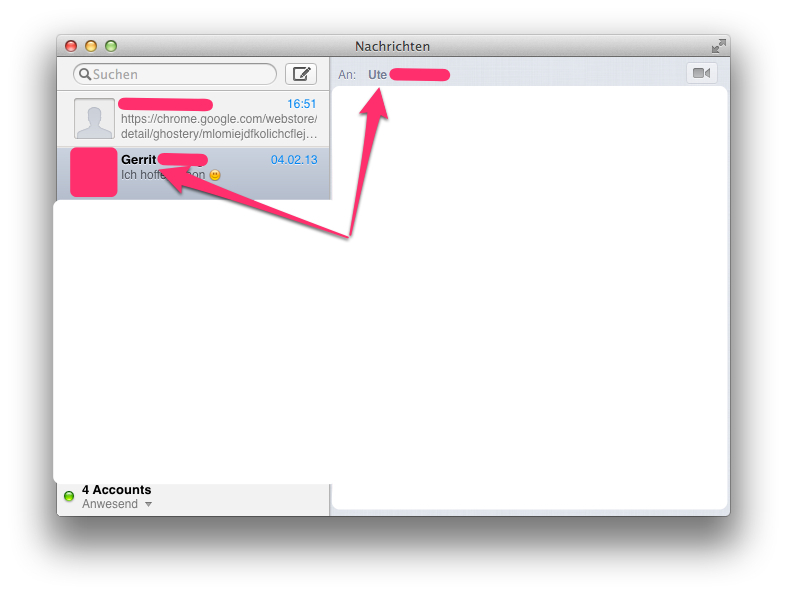 LAN Chat via OS X Server — Will Messages App Suffice?